When Ben and Lucy went down to London recently we spotted lots of cool hexagons everywhere! Here’s a few bits of hexagon inspiration to share with you, from wallpaper to benches, this classic pattern is definitely a trend to look out for this Autumn. 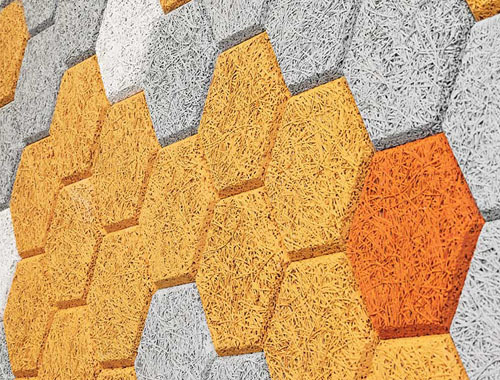 Hexagon wall tiles by Form Us With Love Sweden, ace design and love the colours and texture too. 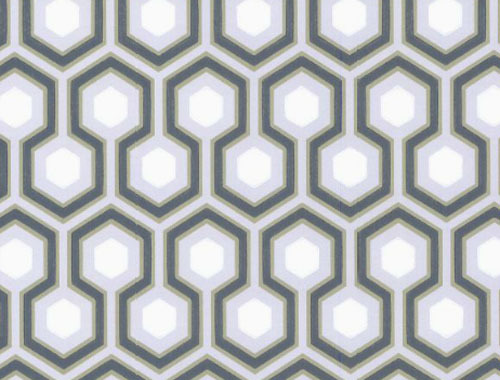 Cole and Son ‘Hicks Hexagon’ wallpaper, another of our favourites from the Contemporary Restyled collection. 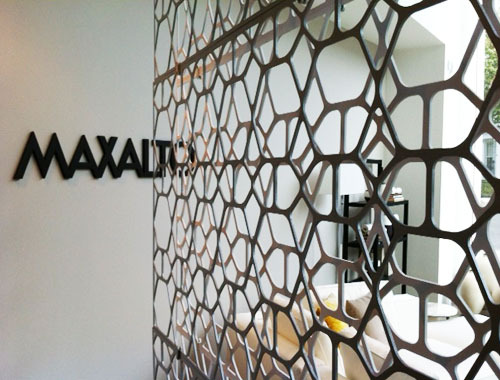 Right on trend with these fab room dividers at the B&B showroom on Brompton Road. 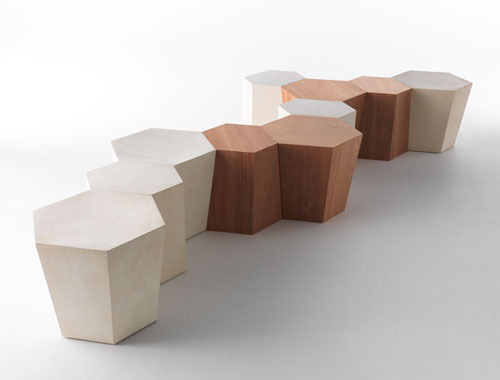 Hexagon seating by Steven Holl for Horm, would love to use these by a swimming pool.